Ever wish you could push the "reset" button on the world in which you live as well as the one you carry inside your head? 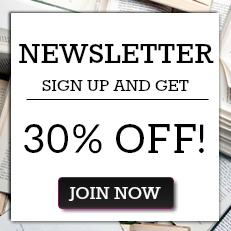 Are you tired of a culture that seems infatuated with wealth and the superfluous, where people can become famous simply by being outrageous or otherwise well known? If that world is not working for you, perhaps you should consider a trip to the desert, just as holy men, mystics, prophets, and eccentrics have done for thousands of years, seeking solitude and inspiration, wisdom and direction in a land of extremes. This is what author Jim Barbee did, seeking Inner Space in the expansive California Desert that lies just 100 miles east of Los Angeles and the other coastal cities of Southern California. 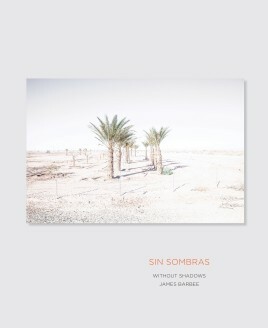 Sin Sombras is Barbee's attempt, in photographs and stories, to relive the California Desert: a landscape where there are no shadows (sin sombras), no shade, no place to hide or find relief. It is a wild, arid, and sparsely populated region, "flyover" country for most travelers, a place to pass through or endure, but also home to hardy individuals who live in one of the harshest climates on Earth. The photographs were taken largely between El Centro and Barstow, California, including the famous Salton Sea. They depict the land, towns, people, and human artifacts that tell a visual story of pilgrimage, survival, and adaptation. The accompanying stories walk the boundary between fact and fiction and are offered as reflections on themes inspired by the pictures: awe, mystery, longing, death, mistakes, and the power of chance in our lives. Sin Sombras is a unique work of artistic and spiritual exploration. One might even say it is a sojourn to find the meaning of life, if there is one, in the unforgiving but awe-inspiring world of the California Desert. Enjoy the ride. James Barbee, M.D., is currently a Clinical Professor of Psychiatry at the LSU Health Sciences Center New Orleans (LSUHSCNO) and the Tulane University School of Medicine. He was formerly Professor of Psychiatry, Pharmacology, and Neurosciences at the LSUHSCNO where he was named the George C. Dunn Professor of Psychiatry in November 2001. He entered private practice in New Orleans in 2009 and has consistently been named in Best Doctors in America since 2000. Barbee has been photographing in the California Desert since the 1980s. In 2014, his photographs were included as one of the finalists in the Blue Library competition sponsored by PhotoNOLA and, in 2015, his work was included in TPS 24: The International Competition sponsored by the Texas Photographic Society. Jack Leustig began his professional career as a photographer during the early 1970s in New York City, working for United Press International. During the 1980s and 1990s, he worked in Hollywood on many acclaimed films including Dances with Wolves (1990) and 500 Nations (1995), and, in 1996, he was honored with the NEA Award for the Advancement of Learning through Broadcasting. In 2002, Jack Leustig founded Jack Leustig Imaging, a leader in the highest-quality printing of photography and fine art.